Dr. Buser has been actively involved with Vagus Nerve Stimulation (VNS) since 2006. He has been one of the leading psychiatrist in the United States for VNS and has had over 50 patients treated with the device. 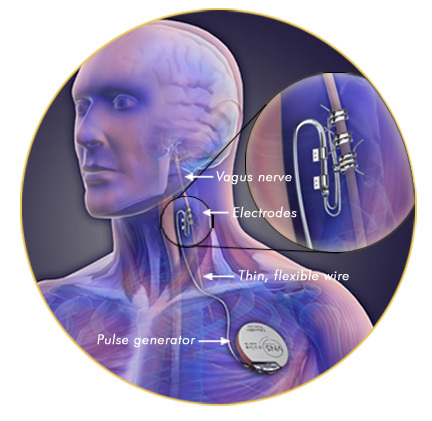 Vagus Nerve Stimulation involves a surgically implanted pacemaker in the chest wall which stimulates the Vagus Nerve via small electrodes in the neck region. This pacemaker sends mild electrical stimulation to the nerve which conducts the impulses to the brain. Studies have show substantial improvement of severe and chronic depression for patients who have failed numerous trials of antidepressant treatment. Dr. Buser has lectured widely on the use of neurostimulation to physicians and other caregivers.